Hi faithful readers sorry to bother you with a promotion (I know you have to wade thru my attempts to sell my books all the time) but this is for someone else. 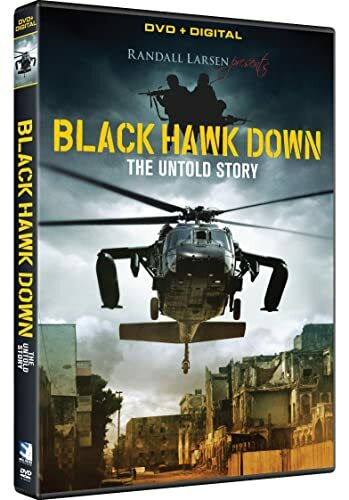 I would love everyone to pre-order a copy of Blackhawk Down- The Untold Story on Amazon. In case you did not know I am tangentially associated with the events of the rescue efforts of the Rangers and Delta Force on 3 October 1993 in Mogadishu, Somalia. I know many of the people interviewed in this movie and have met the Director, Randall Larsen, personally at the world premier in Ft. Drum, NY in October of 2018. Currently it is the #1 Best Selling Documentary on Amazon and I would like it to continue. It is a great story and tells another side of the events of the Hollywood movie Blackhawk Down. I make no money from this, in fact I have donated money to help it be created. Thank you for your support.